Symantec is always known for making the top of the line security products, last year we had seen around nine security suites from the company, but this year it seems company doesn’t want to focus on a number of products but rather want to look into the security thing. The company has announced three variants of Norton Security, the Norton Security Standard, Norton Security Deluxe and Norton Security Premium. We had got Norton Security Premium or you can say Norton Security with Backup for review and we had installed it on a couple of devices to test it and used it for a while. Installation was pretty much easy, we had downloaded the installer from the web, and launched it, the installer downloads all necessary files which were needed as per our platform, once installed, you just need to login to your Norton Account and enter your key to activate it, all things went fine without any issue. 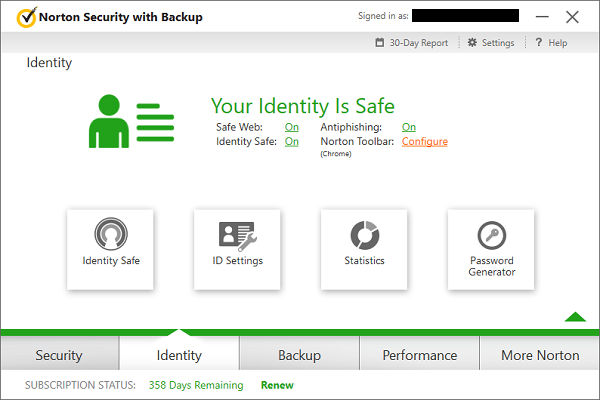 Once you are done with the installation, you will see a You Are Protected message on your newly installed Norton product and there will be a couple of options. 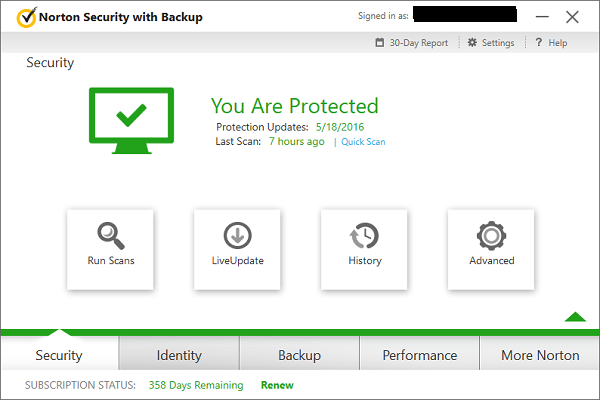 Under the Security tab, you will find options to Quick scan or scan your computer or update your Norton virus database. If you want to check out the history of your device like what has been scanned and what was found by the Norton and what action it has taken, then you can view it under History section. One thing which we had noticed over here is that, scan speed is really nice and it was improved from last year’s variant. This product not only comes with anti-virus support, but it also comes with additional supports like SONAR protection, firewall, eMail protection and all, you can turn them off or on from Advance section, we suggest you to keep all things turn on. Next comes your Norton Identity which is a very useful feature of this product, it stores all of your information in a password protected vault and whenever you need to fill any web form it can auto-fill it for you and save time and effort. There is a SafeWeb and Antiphishing option as well which protects you from harmful web sites and protect you from Phishing Attacks. Most of the time we need to choose a strong password, and if you need any help then Norton can help you with that as well, but when you click on Password Generator, instead of generating password within the program, it takes you to a web page where you can generate the password. 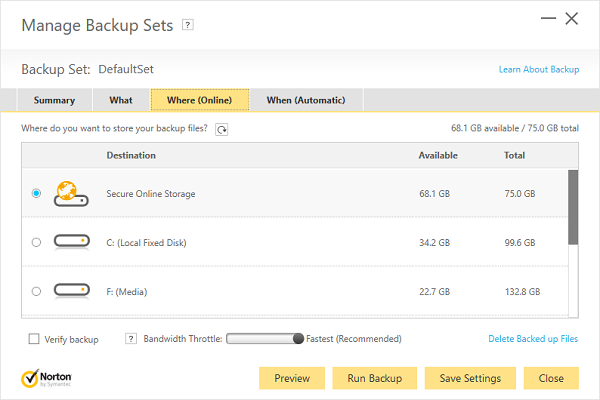 In recent time we had seen most of the security suites has dropped online storage from their applications, but it’s not the case with Norton, here Norton Security Premium comes with 25GB of Norton Online Backup to store your important files backed-up, 25GB is more than enough for most of us, but if you want more then you can buy 10GB or 50GB or more at $1 per GB per year. Creating backup files is very easy for most of us, default job is what most you need, it backup your Document folder, exclude Videos and eMails. 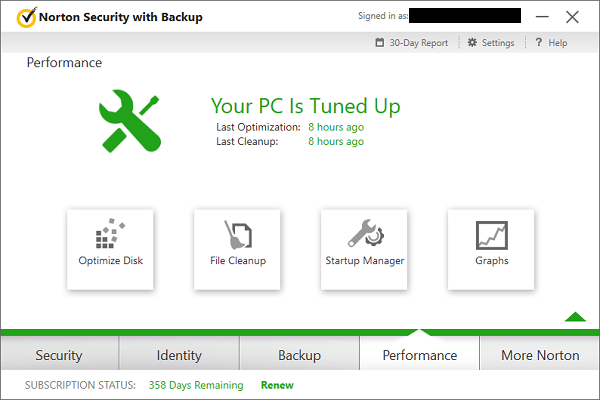 You can create or modify backup jobs as per your convenient. You have to provide What needs to be backup, you can specify the folder, files or extension list which needs to be backup, you also need to provide When it should back up and Where. It only backup changed files which save your bandwidth and cuts down the space required to store those files. You can view your online storage through Windows explorer as well as it will be seen there as well. Restoring backup files is very simple, you just need to specify the file or folder you want to restore or you want to restore entire folder and select the location where you want to restore them, and you are done. In our test, this process was fairly simple and we were able to restore files in no time. Under performance tab, you can perform certain tasks like deleting junk files, disk optimizations, manage your startup programs and so on. I would say Firewall On Norton Security Premium is pretty tough, it automatically network and internet permission for all known the program, and automatically disable internet access to malware. We did try to disable the firewall by injecting some backend codes, but it’s very tough and we couldn’t do it, its one of the best firewall which protects you are all kind of network-based attacks as well. Norton Security Premium comes Norton Family or in simple words, you can Parental Control which lets you track what your children is doing online. 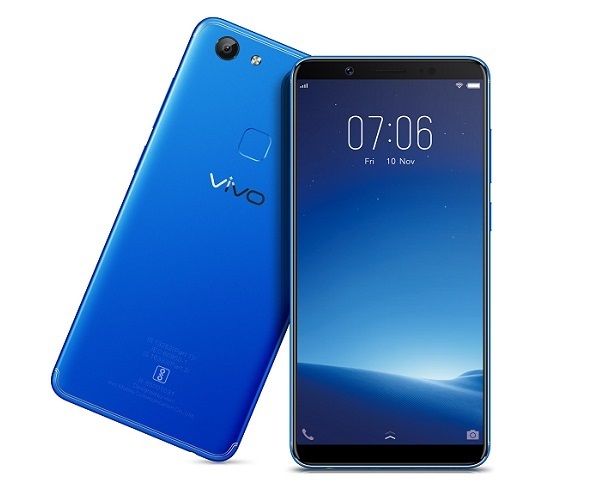 To configure this, you have to visit online portal, enter the details of you child, age and if you want then you can also upload a picture as well. Then you have to download and install Norton Family agent on your kid’s device to track them. By default Norton smartly blocks the websites and contents from users as per their age, but you can always choose from available 45+ categories. Instead of blocking web contents, you can set warning while visiting any bad websites, this can be done for older kids. If your children as entered wrong age while creating a new Facebook or any other account, then Norton will notify you. You can also monitor what your child is doing, what he has searched, what web page he has visited, which YouTube video he has watched and much more. If this is not enough for you then you can also see the current location of your child, see their SMS and contacts and can block apps on their devices as well. Earlier there were some perception that Norton products slow down your system, well this is not the case with modern security suites, after installing Norton Security Premium we didn’t find any big noticeable effect, we tried to copy paste files from one disk to another, moved files to USB, compressed and uncompressed files and all went smoothly. Symantec technology did receive AAA certification, the best rating, from Dennis Technology Labs, and in AV-Test, Norton has got 16.5 out of 18 points. We did some tests by injecting some set malware and it performed very good, overall it blocked 98% malware. Norton is one of the best security suites which you can have if you want to safeguard yourself from phishing while testing there was not a single phishing attack which able to pass Norton, which is very good. If your email provider is not soo good to filter spam messages, then don’t worry, Norton can handle them for you. I used Outlook which has 8 mail accounts, Norton was able to pick spam message from all accounts and kept them in a separate folder for you. 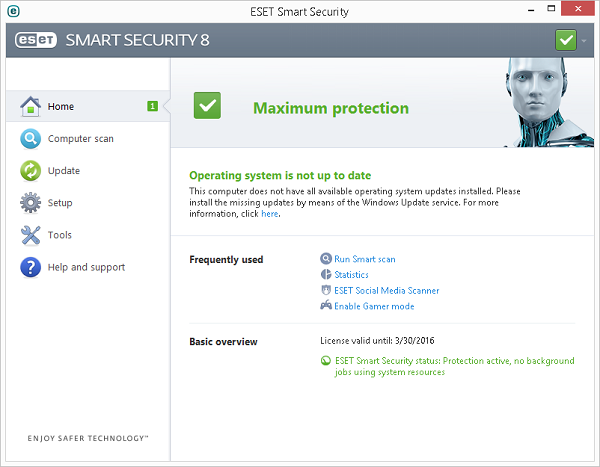 This is a nice security suite which has high detection ratio and very good parental control. It comes with25GB of online storage which is more than enough for most of us. It also protects you from any kind of phishing attacks and comes with nice map filter. However, we would say there are some features which are missing in iOS platform, and company should look into it.